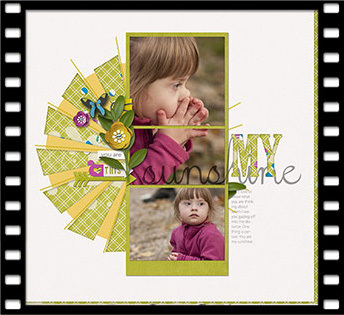 Cutouts are a fun design element on a scrapbooking page. They can add a little dimension to an otherwise flat looking page. Maybe you find you are like me. You love the look of a cut out on a page, but you are a Ctrl Z kind of girl. 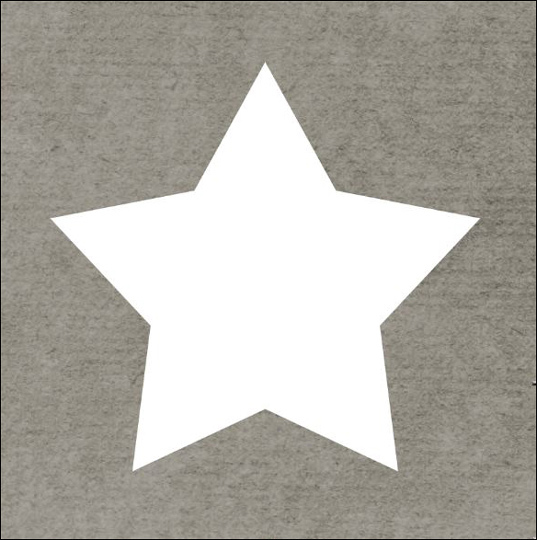 What if, after you cut out that cute star, you decided to move it to a different place on your layout? I totally hear you! We like our options and the ability to change our minds if we want to—without a whole lot of trouble. If this sounds like you, then I have a tutorial for you. Go ahead and cut away. In the end you can still feel free to change your mind at any time. Open the layered scrapbook page (File > Open) with which you wish to work. In the Layers panel, click on the layer that you want to cut out of to activate. In this case, I’ve activated my gray background paper layer. Click on the Create a New Layer icon. Press the letter D to reset the Color Chips to the default of black and white. 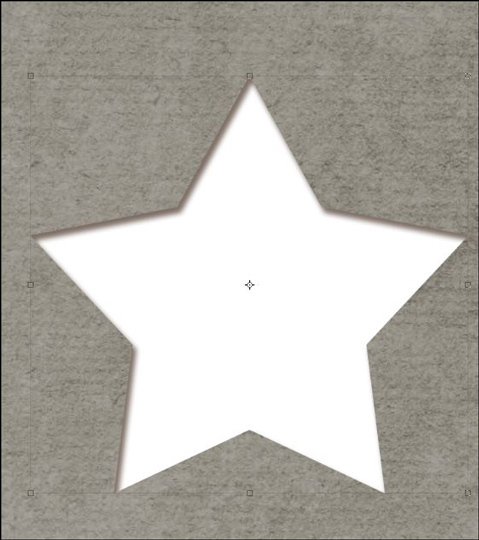 On the scrapbook page, while holding down the Shift key to maintain proportions, click and drag to create a star shape. Press and hold the Space Bar to reposition while dragging. This tutorial requires the ability to create a style that uses an Inner Shadow and Blend Modes. Because Photoshop Elements does not offer this option, I’ve provided a work around for you. Download the Movable Cutout Layer Style folder. PSE Versions 11 and later—install the ND-movable-cutout.asl style included in the download folder. You can find instruction for how to install the style for your version of Photoshop Elements HERE. PSE Versions 10 and earlier—open the ND-Moveable-Cutout-Layer-Style.psd file included in the download folder. Follow the instructions included in the graphic. With the shape layer as the active layer, open the Effects panel (Window > Effects) and click on the ND-Cutouts style to apply it to the shape. In the Layers panel, make sure that the star shape layer is still active. In the Menu Bar, Choose Layer > Layer Style > Inner Shadow. In the dialog box, choose Linear Burn for the Blend Mode. Click on the Color Chip, set the Hex# to 2f1708, and click OK. Set the Opacity to 60%, the Angle to 120°, the Distance to 9 px, the Choke to 6%, and the Size to 10 px. Click on the New Style button. Enter Movable Cutout for the Name and click OK.
Click OK again to close the Layer Style dialog box. Open a patterned paper (File > Open) of your choice. On the document, holding down the Shift key, click and drag the paper onto the scrapbook page. The paper should be above the star shape in the Layers panel. In the Menu Bar, choose Layer > Create Clipping Mask. In the Layers panel, hold down the Shift key and click on the shape layer. Now both the paper layer and the shape layer should be active. In the Menu Bar, choose Layer > Merge Layers. 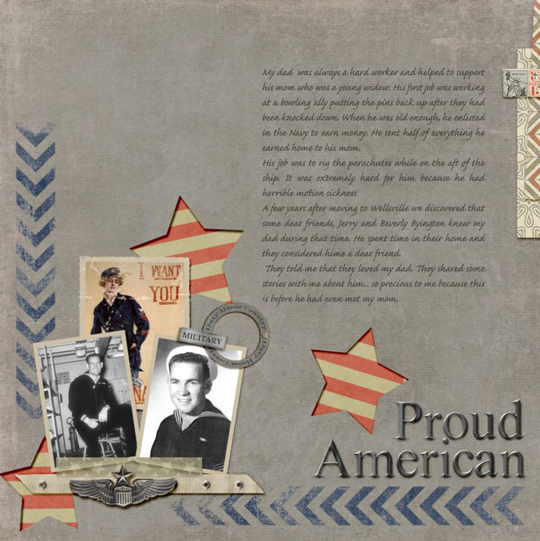 Here is the layout using my cute cut out stars… but wait, changed my mind. I want to move one of the stars. In the Layers panel, click on the shape layer to activate it. On the document, click on the shape and drag it into a new position. Here’s what my page looks like after I’ve repositioned the star. Interested in digging in deeper? Photos can stand alone on a page, but it sure is eye catching to see them accompanied by a large title! 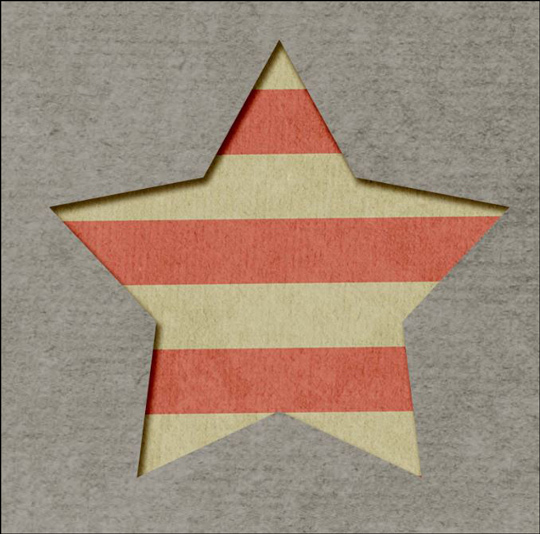 Use the Gradient tool to create a folded paper texture. Then, cut and fold a big letter to create a bold statement on your scrapbook page. Bring a warm loving glow to your digital project by creating a three-layer-deep sunshine. Photoshop users will pull out the Pen tool coupled with a little-known transformation shortcut. Elements users will experience the fun of the versatile Polygon tool and my exclusive Happy Sunshine action set. I’ve included a Punch Out layer style and all the extras to get you started. Create a cute crafted paper envelope with a scalloped edge flap to use as an accent on your scrapbook pages. This is so great – and so easy to do! I appreciate moving it around! Thanks! 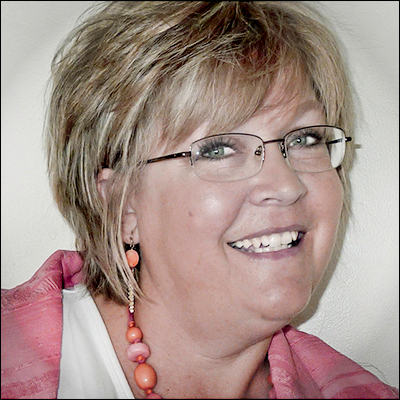 Thanks Terri, I am glad you like them! This is awesome! Love that they can be moved around. Thank you for sharing – going to try it tonight! Ahh, sis what a wonderful page you did on dad. I loved seeing his face when I opened up my email this morning. Your idea of punching out a shape was new to me. I always added things on top of the page, never thought to go the other direction. I will be doing this on my next Layout. Hi April, So fun to have you pop in! I hope you do give the tutorial a try and thanks for the sweet words! Excellent! I did something like this the other day. The way I did it was with a mask. I ‘punched’ out a hole(star), added a drop shadow, un-linked the chain between the mask and the thumbnail, then, moved the mask around. I like positioning my punch-out over a cool part of the paper beneath it. But, your way is easier! Thanks for sharing your way of doing this. I hadn’t thought of using a mask. There really are many different ways of accomplishing the same tasks. The only difference that I can see is, your way, the star becomes an element, whereas, with the mask, where ever you move it, you see the background beneath it that is static.